Notes: The Silk Products are dairy free, but do typically have a tree-nut warning due to Almond cross-contamination and many So! Delicious Products contain Nuts. Also, make sure to read all labels carefully and call the manufacturer to clarify specific allergens and cross contamination possibilities before ingesting or feeding to folks with food allergies. I saw these coupons out this week and wanted to make sure you all saw them. Gluten Free bread can be quite expensive so any savings is very helpful. We aren’t GF so I haven’t tried this yet, but I’ve heard Udi’s has great products! 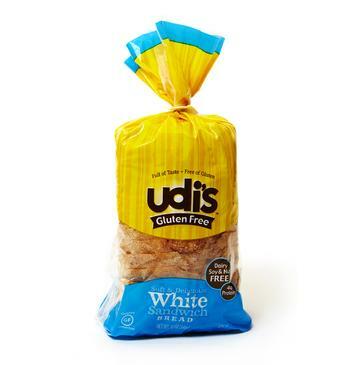 Print your Udi’s Gluten Free Coupons Here. I wanted to let you all know about a recall that I just heard about this morning. If you’ve read my Food Allergy Story then you know that my kid’s allergies are milk, eggs, nuts and peas. While we don’t have a gluten or wheat allergy in our family I know that many food allergy families do. It can be so expensive to cook for folks with food allergies, and that’s why I want to start providing you guys with some food allergy friendly deals and coupons. Merissa from Gluten Free on a Budget has provided us with a fabulous Gluten Free Deals and Coupons roundup! Right now on Amazon you can grab a great deal on Larabars! Amazon currently has these on Subscribe and Save so you can save 5% off the purchase plus get FREE shipping! 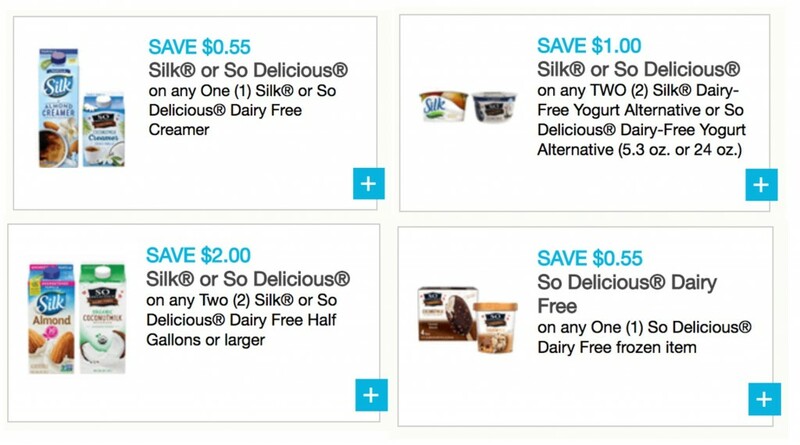 Then clip the instant coupon and save an additional 35% off several different flavors. Each pack of 16 ranges in price from $19.89 – $24.86 so you can get bars as low as $0.77 each after the coupon and discount depending on what flavor you choose! Yummy, these look so good! Right now on Amazon you can grab Annie’s Homegrown Summer Strawberry Organic Bunny Fruit Snacks, 4-Ounce Boxes (Pack of 4) for only $15.35 when you select the Subscribe and Save discount. Right now on Amazon you can get a 4 pack of Bob’s Red Mill Gluten Free Mighty Tasty Cereal 24 oz bags for only $11.81! That makes them only $2.95 per bag. Here’s a great deal on a ready-to-go meal idea on Amazon! 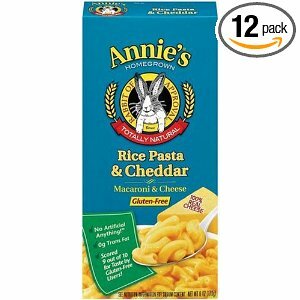 Right now as part of the Amazon Warehouse Deals you can grab 12 boxes of Annie’s Gluten Free Mac and Cheese for only $22.26. That makes them just $1.86 per box which is a great deal! And here’s a great deal on something for baby! Right now on Amazon you can get a 12 pack of Earth’s Best Organic Prunes for only $7.98 when you select Subscribe and Save. That’s only $0.67 per jar! Currently on Amazon you can grab 16 Just the Cheese snack bags for only $13.79 when you select Subscribe and Save! 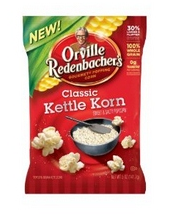 That makes them out to be only $0.86 per bag. Looking for a fun, easy, and healthy snack to make your little one? 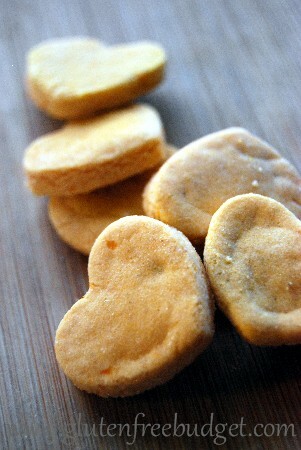 Try these Sweet Potato Toddler Crackers! They are gluten free, corn free, dairy free, soy free, nut free, and sugar free! 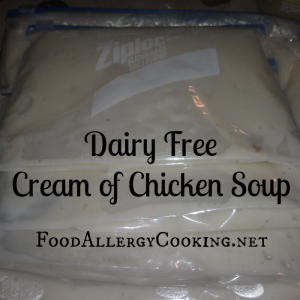 There are so many casserole recipes and other dishes that I would love to make for my kiddos, but unfortunately they call for canned cream of chicken soup. Not only are the canned condensed cream of soups high in sodium but they also contain dairy. In fact I have yet to find a canned one that does not contain dairy. But..there is good news. 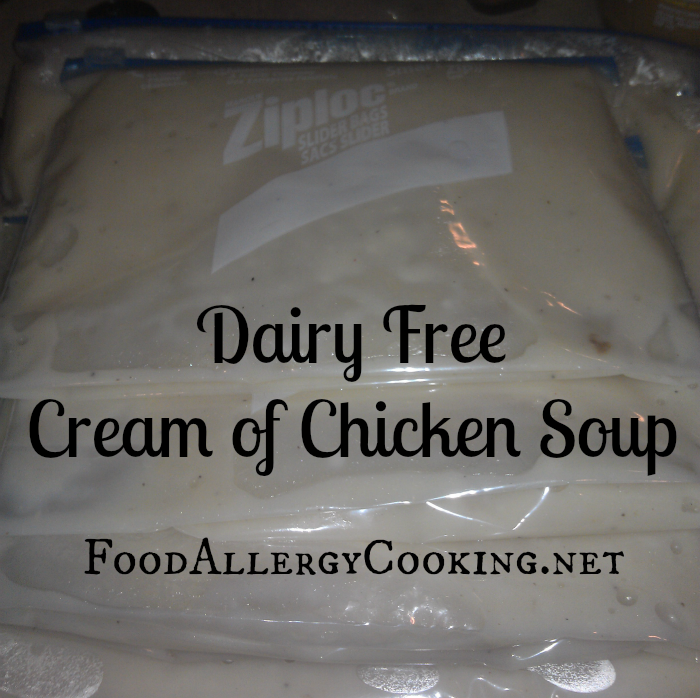 You can make it at home yourself without dairy PLUS it’s much healthier. Turn heat back up to med-high and bring back up to a boil. (continue whisking frequently). Continue to boil and whisk until it thickens. 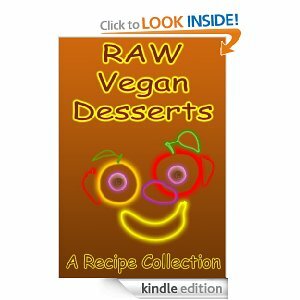 I just had to grab this free Kindle e-Book this morning! I have followed Food Allergy Mama’s site for a while and she has some GREAT recipes. 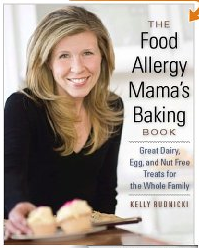 The Food Allergy Mama’s Baking Book: Great Dairy-, Egg-, and Nut-Free Treats for the Whole Family is usually $19.95 but you can get it for FREE today on Kindle. If you don’t have a Kindle you can still read this on your computer, iPad, iPod, iPhone, or Android. Remember that Amazon changes prices often so this may not be free for long. 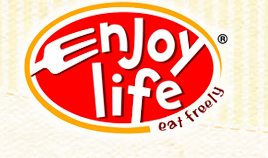 Enjoy Life is one of my very favorite companies! I love that all of my kids can safely eat ANY of their products. I also love to cook with their Chocolate Chips. The Plentils are new & I haven’t seen them in my stores yet, but I’ll have to try them. Has anyone else tried them? The Enjoy life baked cookies & bars are on sale at Winn Dixie until 10/20 so if you have one nearby you can get a SWEET deal – $2.95 per box after the coupon! What’s your favorite Enjoy Life Product? Ours is definitely the chocolate chips & chunks. If you know me then you know that I love to save money. Who doesn’t?!? One of the best ways to save money on grocery items is to buy in bulk. ESPECIALLY if you have to cook from scratch much of the time due to food allergies. A couple of weeks ago Earth Fare was having a sale on their Bulk Items. You could get 20% off on Bulk Items. 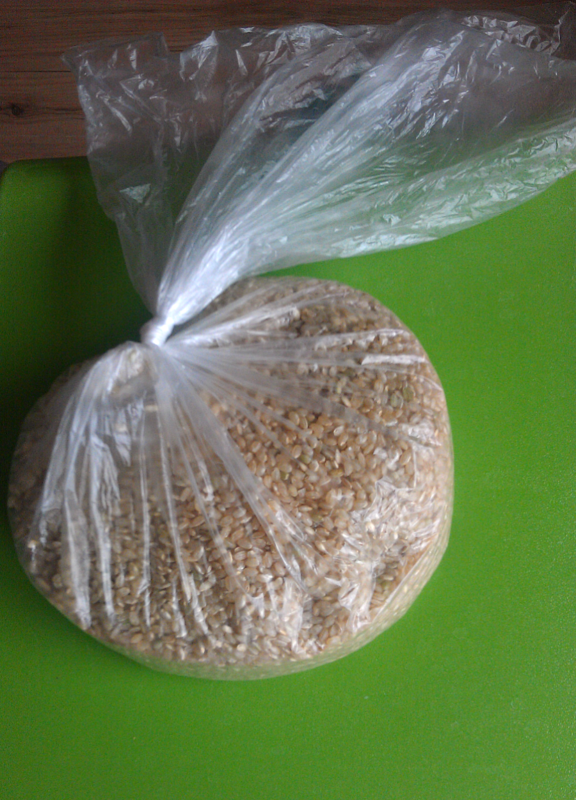 On a whim I decided to grab a bag of brown rice (see the picture below). I’m not really sure what I was thinking because while I saved 20%, I actually wasted the entire price because I CAN NOT bring myself to use it. I have so many thoughts running through my head about it. Such as…..
What if someone used the same scoop to get nuts? What if this container previously stored nuts?? What type of controls do the stores have to eliminate cross-contamination? I just don’t feel that it’s safe enough for my food allergy kiddos to eat it so I’ll be blessing someone else with this nice brown rice. That way it won’t be a total waste. What about you? 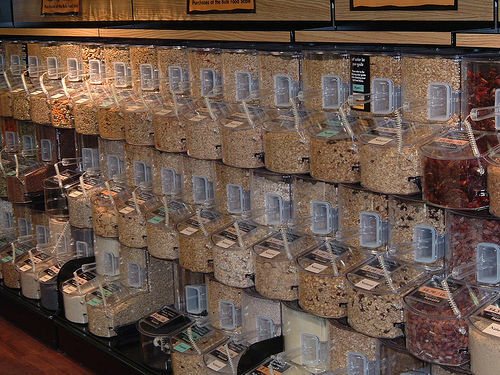 Are you comfortable buying from the bulk bins? There is a recall going on right now that you might need to be aware of if you are dealing with a milk allergy. 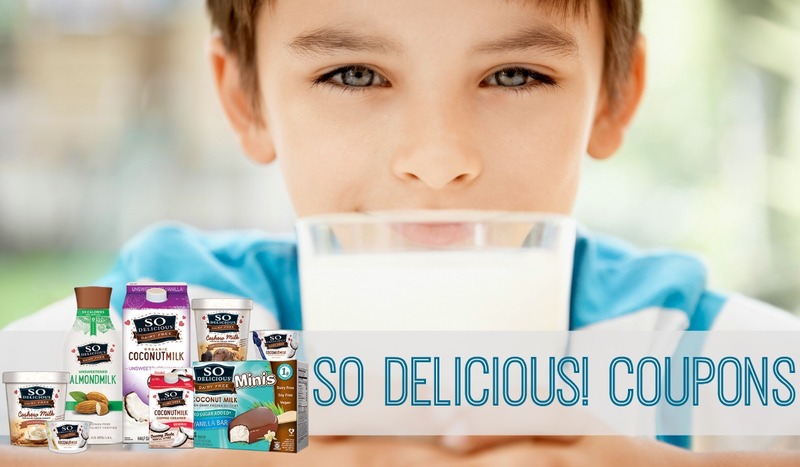 Arctic Zero Pints and Bars have been recalled to to an undeclared Milk Allergen. I made a trip to Whole Foods last week & saw this new product. I grabbed a pack to try out, but I sure wish I had see this coupon first. We use Coconut Oil for baking in alot of recipes, but I can’t wait to try this product out! It is dairy free and much healthier than our usual Dairy Free Margarine that I use(Parkay Squeeze). 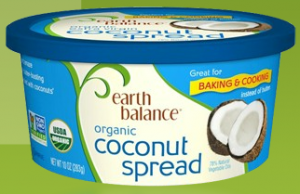 Get a coupon here for $1/1 Earth Balance Organic Coconut Spread.